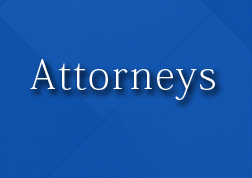 The Firm is composed of two partners, eight associates and an Of Counsel. Its senior partner and founder, Ramzi Joreige, has been an active member of the legal community since 1962. He served as President of the Beirut Bar Association between 2007 and 2009 while the other partner, Chakib Cortbaoui, has been practicing law since 1967 and served as President of the Beirut Bar Association between 1995 and 1997. Appointed Minister of Justice in 2011, he will not be practicing law for the duration of his mandate. The Firm prides itself in always hiring talented lawyers who graduated from leading universities in Lebanon, Europe and the United States. While being practitioners, some of them have also academic interests and are lecturers and professors at renowned law schools. Most of the lawyers are trilingual (Arabic, French and English) while the others are bilingual (Arabic and French).